How do you ensure that everyone shares the same goals? Keeping projects on track - especially in the face of constant change requests and additions - is a project manager's greatest challenge. And when project managers don't properly set expectations from the start - with senior management, the client or their team - and don't have a strategy in place for dealing with scope creep or last-minute requests or changes, deadlines can suffer. So how can project managers ensure that everyone shares the same goals and expectations? CIO.com asked dozens of IT executives, project managers and project management experts to find out. Check out their top 11 suggestions on how to successfully set, manage and adjust expectations to ensure deadlines are met and tempers don't flare. Get involved early (during the planning process). "Expectations, especially for IT projects, tend to get set by senior management without consideration to the details it takes to deliver," says Diane C. Buckley-Altwies, CEO, Core Performance Concepts, a provider of project management courseware and training. Therefore, it is critical to "take the appropriate amount of time to work with senior management during the planning process to define key measureable objectives that everyone can agree [upon]," Buckley-Altwies says. 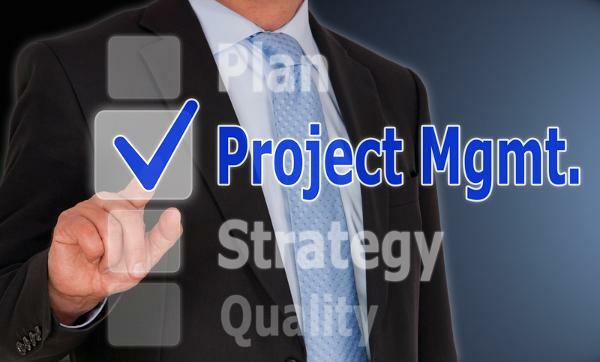 That way, "when issues arise, the project manager [can] always come back to those objectives and ask management if the issue affects [his] ability to deliver on the objectives." "If possible, be part of the sales process so that you know what is expected and discussed from the very beginning," says Abie McCauley, digital project manager, Nebo Agency, a web design and interactive marketing firm. "The more you know about the goals of the project, the better you can guide your team to success." Involve all stakeholders, especially IT. "Whenever I have a project that is clearly IT heavy, I bring all the [IT] guys in the room, from the CIO to a junior programmer, to make sure everyone has input on the timelines and expectations," says Richard Bexon, COO, Namu Travel Group. "This way the guys laying the code or installing a new server 100 percent understand what the project is about and have buy-in." Have a clear project scope with sign-off -- and set priorities. "Making sure that you have a very clear scope when starting a project is essential, as people will always try to creep things into the scope," says Bexon. "Scope containment is the Achilles heel to project management," says Bill Gaffney, corporate development, Applied Robotics. "Even minor changes can accumulate and cause scope creep," he says. To avoid or at least manage scope creep, "the scope of the project and the strategy(s) to accomplish that scope/strategy must be clearly defined," he says. Similarly, "the potential risks and mitigation actions must be identified and addressed. [And] changes from the baseline plan must be rigorously evaluated for impact to schedule and cost, no matter how insignificant they may appear at the time." In addition, "ensure that all projects and enhancements are assigned an LOE, ROI and priority level," says Samira Mahjoub Tapia, cofounder and head of product at Chippmunk, a savings search engine. And make sure all members of the team understand the priorities. "Having the team review this list weekly forces us to keep our focus and ensures that precious development time isn't spent on projects that don't move [us] forward towards our goals," Mahjoub Tapia says. "It also allows the dev team to see upcoming projects and feel like empowered members of the team." Be realistic. "From the very early days of a project, it is critical to set realistic completion dates [to] ensure accurate forecasting," says Hernan Clarke, CEO, 4Sight Technologies, a company that specializes in developing and supporting software for project management. "Meeting deadlines and keeping projects on time and on budget requires commitment from all parties involved. This means a representative from the client, management and project team should always be involved in the process of setting expectations and target completion dates to ensure agreement and buy-in from every perspective," Clarke says. Make sure everyone (including senior management) understands his or her role and responsibilities. "Set realistic expectations with everyone from the very beginning about what their roles and jobs are for the project," says McCauley. "Make sure each team member has a clear vision of how they fit in the overall success of the project, so that they understand how all the many aspects tie together." "PMs must be clear about the time and activity they will require of team members and executives," says Robert Kelly, managing partner, Kelly Projects Solutions. "This may be even more important with respect to executives as their calendars often fill up weeks in advance. Everyone must know exactly what meetings will be held, when and the purpose of those meetings." Above all, make sure everyone has a good "understanding [of] goals, timelines, KPI's, etc.," says Eugene Slobodetsky, project manager, Lyons Consulting Group. "Managing expectations is important, and in order to do that, there needs to be agreement across all parties on what the expectations are." Ask yourself, "What are the goals of the engagement, the expected (and realistic) timelines and measures for success? Many times, the mistake is in not communicating these clearly, and having both sides 'singing to a different tune,'" he says. Make sure team members communicate with each other. "Assumptions can kill your team, work and deadlines," says Jim Shulkin, vice president of marketing at Daptiv, which develops project portfolio management (PPM) software. "Developing a communication plan that errs on the side of over-communication [is] critical to the success of projects and work objectives," Shulkin says. A successful communications plan "usually outlines scope of work, owners of each task, deadline against each task and status updates," and who to notify when issues arise. Try to identify potential pain points. "There are a lot of variables going into every design project and even with infinite preparation, every aspect still wouldn't be known," explains Dan Bodenstein COO, Boulder Engineering Studio. "Being clear about this upfront sets an expectation for the unknown. However, trying to identify points along the development cycle where surprises are likely at the outset helps relations with the client, positions them to respond quickly and can keep projects closer to schedule." Set up calendar reminders for milestones. To keep projects and team members on track, "set up calendar notifications, alerting the team when steps should be completed and due dates," says Alexis Chrzanowski, account executive, Sales & Marketing, Innovative Facility Solutions. "Setting up these notifications keeps everyone's mind in the right place and right stage of [the] project. Have an escalation strategy. "Nothing ever goes exactly to plan," says Joseph Czarnecki, vice president, Product and Sales Support, IPS Learning. "To keep expectations [in] check, work with management to develop clear guidance on what needs escalating and what does not need escalating because not everything will," he says. "Then discuss that guidance with your team regarding what and when issues need to be escalated and how to escalate, giv[ing] your team the accountability (and responsibility) to solve what they can at their level." Hold regular status meetings -- and set up reminders to ensure everyone attends. "We have regular client bi-weekly reviews either via a conference call or a face-to-face meeting," says Paula Tompkins, founder and CEO of ChannelNet, which delivers digital customer acquisition, retention and conquest services. For these meetings to be productive, however, "it's important to be open, honest and inclusive," she says. "Direct communication between all concerned parties is the best and most efficient way to deliver a quality project, based on our 29 years of experience," Tompkins says. "We make sure that we have daily scrum meetings [Agile] with all stakeholders so that everyone knows where everyone is," says Bexon. "This allows us to communicate and overcome any roadblocks or issues that exist and to work as a team." Don't be afraid to communicate bad news -- and adjust expectations. "If anything happens that will affect the deadline of your project, let all stakeholders know immediately," says Mike Vitale, CTO at TalkPoint, which specialises in browser-based audio and video webcasting. "Nothing good ever comes from trying to hide a problem. Always be clear and concise when communicating issues, and get to the point quickly." "All projects will have roadblocks," says Clarke. The key is "to disclose the problems promptly and as honestly as possible," he says. "More often than not, the client and management will appreciate being brought into the loop earlier rather than later." And when presenting bad news, be sure to also present options for dealing with roadblocks to minimise delays and frustration.